Wine lovers are a passionate bunch. 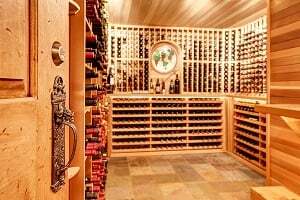 Whether you have a few bottles on the counter for special occasions or a state-of-the-art wine cellar with a $200,000 collection, you’re serious about your wine. And sales statistics prove it. More than $60 billion worth of wine was sold in the U.S. in 2017 according to wine industry marketing firm Wines & Vines. 0 Response to "7 Ways to Keep your Wine Collection Safe"